After a long tired day of work, walking or standing, you will love to have a massage for your legs. But if there is no one to do this for you, your legs will have to bear the pain. But with many foot massager in the market, you don’t have to depend on anyone for a massage. This will be a great gift for your feet. Occupations are of different types. For some, you will have to stand long while for some you will have to carry heavy things for long. Athletes will also need a massage at the end of the day for the sake of their feet. Nurses, servers, teachers, salesmen and many other occupations can be troublesome for your feet. A foot massager can be a solution to the problems of your feet. A wide variety of foot massagers are available these days. You can get a cheap ordinary foot massager to a high-tech one from the market. Even automated massagers that let you customize their movements are also available. If you want to have a good foot massager that will be perfect for you, you should have a good knowledge about the top-selling foot massagers in the market. But it will be a difficult task to go to each site and find the details of each product. This post will give you the list of 15 foot massagers that are the best sellers in the market. 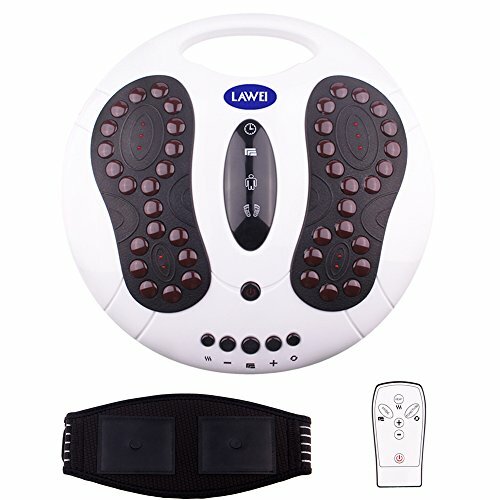 The Shiatsu Foot Massager will reduce stress and relieve your tired feet. This product targets key pressure points to provide therapy to tense muscles and alleviate foot strain. You can use this foot massager for aching feet or sore ankles and calves to roll and knead away all your pain. This product will soothe tired and worn feet, stimulating circulation and comfort with rolling, kneading, and pulsing. The HomCom Multi-function Dual Foot Massager helps you to enjoy all the benefits advantages of a professional foot massage right at home. It combines kneading, air pressure, rolling and heating all in one high-tech design that is fashionable. You can choose from three levels of intensity to ensure the perfect fit for every situation and individual. The NURSAL Foot Massager fits up to size 12 feet and it is designed to fit most feet. It provides a full coverage experience – heel to toe and top to bottom. 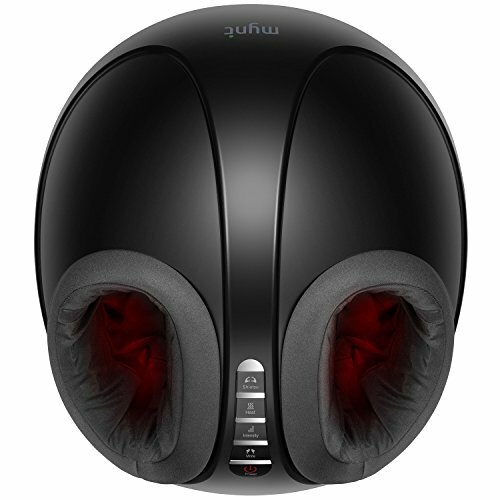 It has 3 massage modes that offer different rolling and air pressure massages for you to choose from. You can count on easy unit care and maintenance to get better user experience with this massager. The auto-off timer can be to 10, 15 or 20 minutes. Its heat function helps greatly with relieving pain on fatigued muscles and reducing foot pain. This massager will provide wonderful relief to your tired feet, ease tensions and improve blood flow to all parts of the foot. 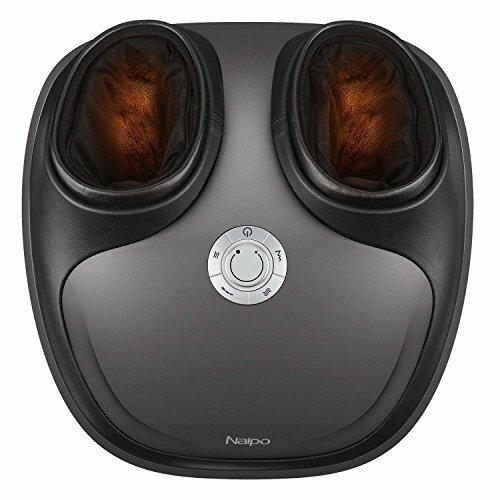 The Naipo Foot Massager helps you to relieve tired feet as well as a professional does without spending a fortune in salon fees. It can also decrease stress and anxiety in your entire body. What you have to do is just put your feet up and relax with the Naipo Professional Foot Massager. It’s adjustable to set this electric foot massager machine for the perfect angle and shut off automatically after a relaxing 20-minute massage to keep you safe and protect the feet massager machine. The massage foot machine specialized novelty curved design allows people with different foot sizes to use this heated foot massager machine comfortably. 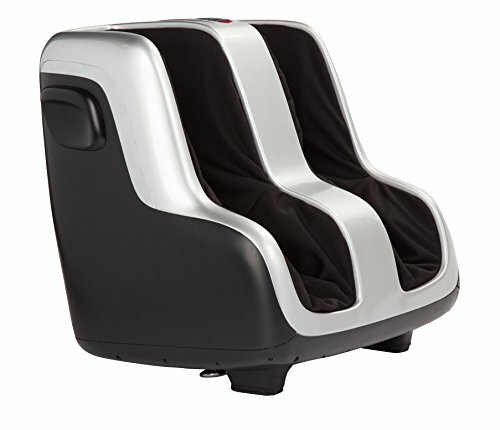 The Foot Massage Machine Shiatsu Massager features an easily adjustable optimum angle comfort bar. It has multiple settings featuring rolling ball massagers, air compression massage and heat stimulates blood flow and increases circulation. It comes complete with step by step instructions to ensure the optimum massage every time. It features multiple settings for heat, air compression pressure, and vibration. This foot massager can provide the perfect massage for your feet, calves, toes and ankles. It has an Ergonomically sleek appearance. The tilt angle is great when sitting making it so easy to use. 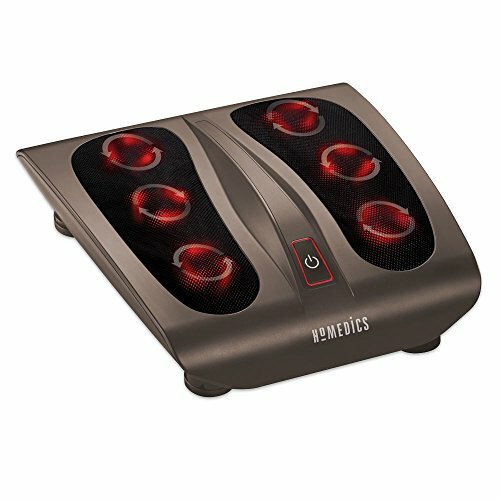 The Homedics FMS-270H Deep Kneading Shiatsu Foot Massager has a large, platform design that accommodates almost any size foot. The deep-kneading shiatsu massage melts away tension while triple-rotational heads enhance the relaxation. It has toe-touch controls that make it easy to change functions. The deep-kneading Shiatsu massage rejuvenates tired arches and soles. You can take your foot massage to the next level by selecting the optional soothing heat. The webbed fabric over the massage mechanism is breathable to enhance your comfort. 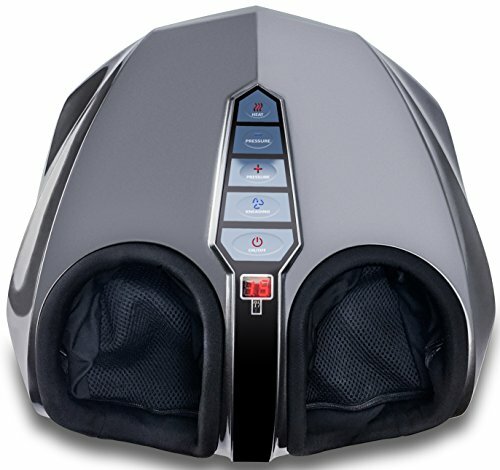 The Thai Foot Massager by Gideon features unique 3D massaging nodes. This foot massager mimics the hands and thumb-like action of a professional masseuse. The product applies soothing pressure to heels, toes, ankles, and bottom of the feet. It provides the perfect natural pain relief for Arthritis, Heals Spur Bunions, Plantar Fasciitis, foot swelling, and most other foot aches and pains. It effectively improves blood circulation and regulates blood flow. You can choose from two levels of heat therapy or turn the heat completely off. The product allows for full control of the massaging style and intensity. You can set at low for an extremely gentle massaging experience or increase for an amazingly powerful muscle penetration. The “Reflex-4” Foot & Calf Shiatsu Massager delivers a relaxing and soothing massage that elevating your state of comfort. It has the patented Figure-Eight Technology that allows circulating blood from the feet toward the core of the body. Thus fresh nutrients re-enter the calves and feet for greater healing and soothing comfort. The enhanced tilt angle perfectly matches the body’s ergonomics for maximum comfort. You can choose from two tilt options in order to find your perfect massage angle. The Gideon Deep Kneading Shiatsu Foot Massager comes with a total of eighteen deep penetrating massaging nodes. This foot massager provides the perfect natural pain relief for most of the pains and swellings associated to the foot like the Plantar Fasciitis, Heel Spur Bunions, Arthritis, foot swelling etc. It is uniquely designed to mimic the hands and thumb-like action of a professional masseuse. You can choose to massage feet with or without heat therapy. 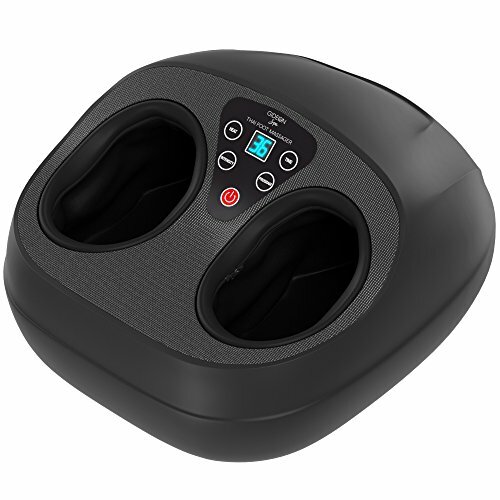 The Mynt Shiatsu Foot Massager helps you to massage from tips of your toes all the way up to heel and ankle. It has 2 pads and 2 rollers delivering a more thorough, professional-style treatment. This massager comes with centered controls and color-coded LEDs that allow you to effortlessly tailor your massage. The 20 combinations provide personalized therapy, aiding relaxation, blood flow, and persistent pains. The massager has very intense pressure. The Miko Shiatsu Foot Massager helps you to enjoy spa grade massages in your own home. You will have the ability to personalize your massage with our various settings. It rejuvenates tired leg muscles and aching feet. The foot massager by Miko requires no effort. It is powerful and yet portable. It has deep Kneading, Subtle Vibrating, Rolling, and Heat Functions. 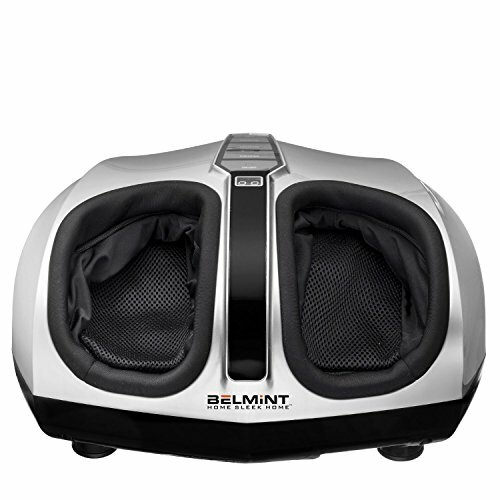 The Belmint Shiatsu Foot Massager gives you a therapeutic massage. 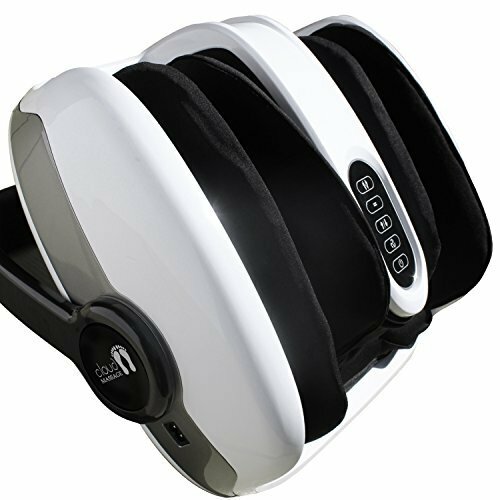 You will get a complete at-home spa foot massage experience that rehabilitates your tired muscles from tensions and aches with this foot massager. 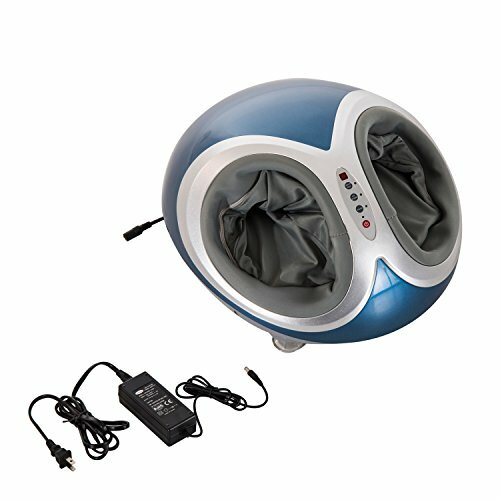 This product massages the bottom of your feet with pressure and heating to help you to relax. There are multiple nodes that massage the arch of foot and front of the foot. There are different pressure settings depending on your need. 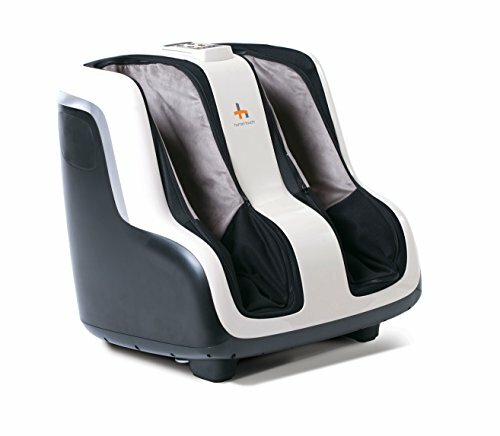 The “Sol” Foot and Calf Shiatsu Massager will deliver a relaxing and soothing massage, elevating your state of comfort. The patented Figure-Eight Technology in the Reflex SOL Foot and Calf Massager circulates blood from the feet toward the core of the body. It is an all in one convenient massage tool that you can use at home or work. You can simply unzip the Easy-Sleeve inserts and throw them in the wash to keep them clean. Variety of massage levels are available for this product. It is not ideal for people with skinny legs. The EMS Electric Foot Massager makes use of electrical stimulation therapy to send microcurrent impulse to neuromuscular through the soles of feet. It is clinically proven to be safe and effective. It is intended to be used as a Multi-function massager. You can use it at your home in anytime anywhere comfortably. The automatic time settles for 25 minutes. 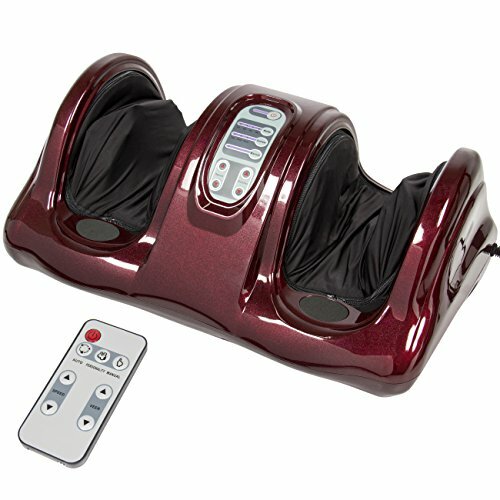 The Relaxzen Shiatsu Foot Massager is designed to ease aching and sore feet. You get the chance to choose between two selective massage directions to relief from fatigue for ultimate comfort. The product features a soothing heat therapy that can be used with or without the massage. There is an easy to use hand-controller that makes customizing your relaxation simple. The Shiatsu foot massager could also be used as a back massager. These are the top-selling foot massagers available. Foot massagers are a very good option for people who are suffering pain and swelling on their foot. It is very important to make sure that the foot massager you buy is the perfect one to save you from the problems of your foot. So clearly analyze each one, its features, pros and cons to taking the perfect decision.